Money Can’t Buy Happiness, But . . .
A new study released in the spring by Morgan Stanley contains some pretty interesting ramifications for the old adage, “money can’t buy happiness.” In March, the investment firm released the results of its Investor Pulse Poll, which surveyed over 1,200 investors ranging in age from 25 to 75, all of whom had $100,000 or more in assets. The demographic for the survey describes about one in four US households. 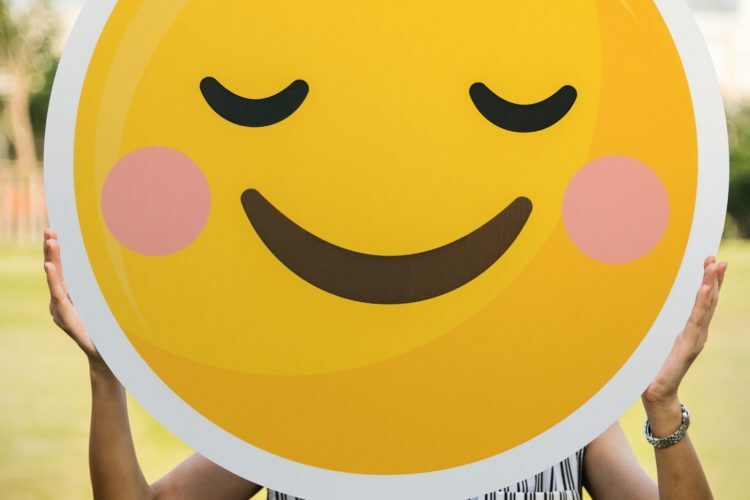 One of the most striking pieces of data from the survey is the indication that investors who report the highest levels of overall happiness also tend to practice good financial habits. Of those who describe themselves as “very happy,” 71 percent of them have a financial plan in place. Fifty-three percent of these investors indicate that they are on track to achieve their most important long-term goals (saving for retirement, paying off a mortgage, transferring wealth to their children, paying for a child’s or grandchild’s education, and others), and 61 percent of them say the same about their short-term goals. A very significant finding is the number of happy investors who discuss financial matters with their significant others: 72 percent of very happy investors reported practicing this very important positive financial behavior. Given happy investors’ orientation toward sound financial management and planning, some other results from the survey follow logically. These respondents indicate that they are much less concerned about a variety of potential financial issues than their less happy cohorts, many of whom do not employ the same level of “financial hygiene.” The happy investors indicate that they are confident in the level and type of risk incurred by their portfolios (65%), and they also report significantly less worry about unexpected medical costs (56%; remember, this poll includes individuals up to age 75). They express confidence about maintaining their desired standard of living (54%), and they report lower levels of worry about retirement (52%). But it’s not all sunshine and rainbows. Those in the poll age 45 and up overwhelmingly (about 90%) express the wish that they had started earlier in saving for retirement. Even Millennials in the poll express concern about being able to fund their retirements. Seventy-two percent of these younger investors express concern about having adequate funds, and around 69 percent are worried about being able to make their savings last as long as needed in retirement. Unexpected medical costs were another major theme among worried investors (52%) and a strong majority (69%) were concerned about the potential effects of the current political climate on their investments. The report also contains some strong indications about the importance of professional financial advice and planning. About half of those surveyed who are working with a professional indicate that they are seeking help with a written financial plan that incorporates a systematic approach to budgeting, spending, and investment. Of those who are already utilizing a professional financial advisor, 80 percent credit their advisor with their success. As I often remind my clients, while it is true that money does not make you happy, it is also true that having money gives you options. Think about the happy investors discussed above, then consider your own situation. How much more enjoyable would your days be if you were not stressed about monthly cash flow? What if you practiced the type of good financial habits that involved systematic saving, smart budgeting, and disciplined investing? What if, instead of paying several hundred dollars in interest to various credit card companies each month, you were putting that amount of money in your 401K, IRA, or other tax-favored retirement plan? What if, instead of fretting about what will happen to your estate when you are gone, you had in place a well-thought-out, carefully structured estate plan that will distribute your assets in a way that reflects your priorities for the people and causes you care about? What if, instead of worrying about what unexpected medical costs might do to your retirement plans, you were actually funding a tax-favored health savings account (HSA) that allows you to make non-taxed contributions, grows tax-free, and allows tax-free withdrawals for qualified medical expenses? In all honesty, there’s not too much new or surprising about the report discussed above. For decades, most of us have known the basics of good personal financial management: pay yourself first; carefully limit your use of debt; follow a budget; put money aside for retirement. The healthy financial habits above—and the positive results for those who practice them—are mostly extensions of basic financial principles that we’ve all heard for much of our lives. The difference is, the happy investors in the Morgan Stanley survey are putting them into practice on a consistent basis. When you think about it, it’s actually not hard to see the relationship between good financial habits and happiness. Remember: it’s not the money itself that makes you happy; it’s the feeling of knowing that you have planned and prepared for the future, not only for yourself, but also for those you love. One of the best things you can do, as indicated not only by this latest study but also by common sense, is to engage the services of a qualified, professional financial planner and advisor. A professional planner can hold up a mirror to your financial life and help you see, not only where you could improve, but also where you’re already doing great. Like the professional coaches who work with world-class athletes to improve performance, a financial planning professional can help you hone your financial “game” to enable you to achieve victory. With the 80 percent of those in the survey, you will learn how the training, insights, and experience of a financial planner can land you among the happy investors who are on their way to meeting their most important goals.